Novel by Boris Pasternak, published in Italy in 1957. This epic tale about the effects of the Russian Revolution and its aftermath on a bourgeois family was not published in the Soviet Union until 1987. One of the results of its publication in the West was Pasternak's complete rejection by Soviet authorities; when he was awarded the Nobel Prize for Literature in 1958 he was compelled to decline it. The book quickly became an international best-seller. 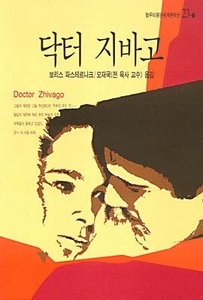 Dr. Yury Zhivago, Pasternak's alter ego, is a poet, philosopher, and physician whose life is disrupted by the war and by his love for Lara, the wife of a revolutionary. His artistic nature makes him vulnerable to the brutality and harshness of the Bolsheviks; wandering throughout Russia, he is unable to take control of his fate, and dies in utter poverty. The poems he leaves behind constitute some of the most beautiful writing in the novel.